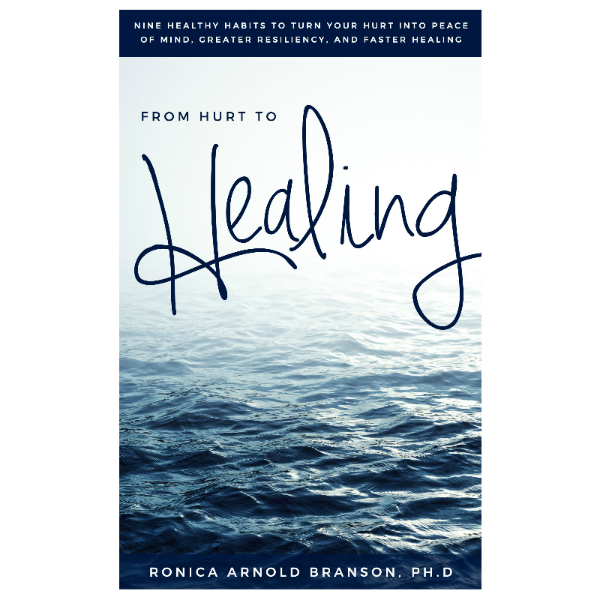 The Gift of Faith: Having Faith Over Fear – Ronica Arnold Branson, Ph.D.
Wouldn’t it be great to exude strength, courage, and positivity at all times, even when we’re afraid? 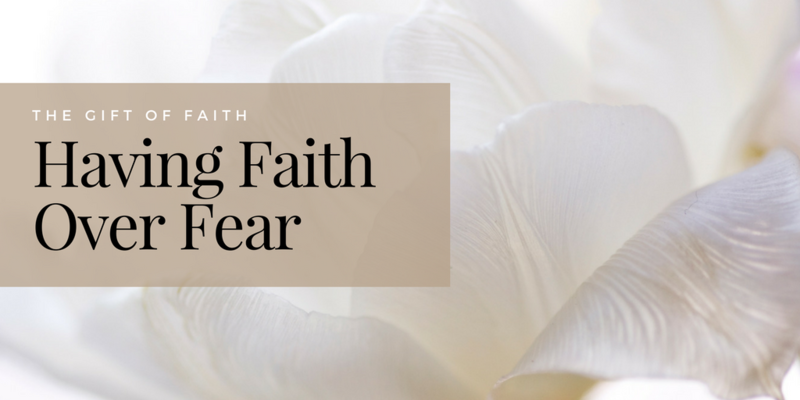 Fear is a very strong emotion, but faith is much greater. As I was lying in the emergency surgical waiting area once again, in tremendous pain, I knew, in spirit and faith, that all things would be ok but my outside man or physical body was producing a different message. In my physical space all systems were in overdrive and malfunctioning. My heart felt like it was beating out of my chest, there was chaos all around, doctors and nurses rushing in and out, medications had to be administered, consent for treatment forms that had to be signed. The swift realization that a life-saving surgery that had to take place within a matter of minutes was upon me. Within seconds my leg had swollen to three times its normal size. I had no feeling in my leg below my knee and my pain on the scale from 1-10 was well beyond 20. I had never experienced this type of excruciating pain in my life. Dozens of questions raced through my mind as I prepared to face the unknown: What was happening? How was this happening, AGAIN? Why was this happening? Could this even be possible? And when would I be out of this pain? Later I found that this type of aneurysm ruptures in only 2% of patients. It was the luck of the draw that I landed in that unfortunate two percent. Although my family and I were no strangers to the ER, for us, this was a very frightening situation. Though it was my desire to step bravely into the arena once again and face my opponent with courage, there were moments of fear. This could be the end. BUT GOD! God gifted me with yet another chance at life and that is why I am able to write this today. 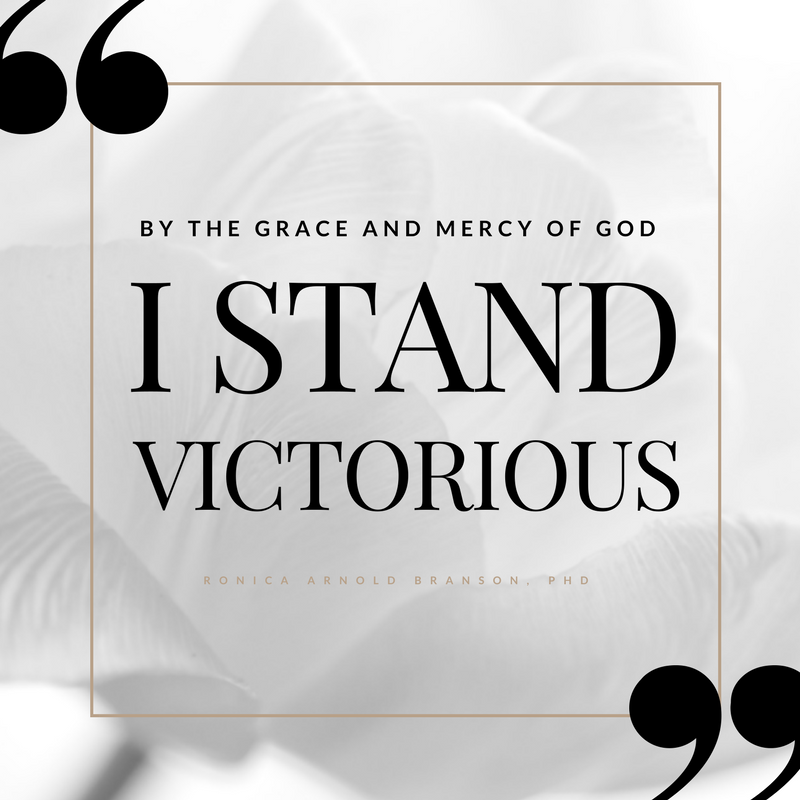 By the grace and mercy of God, I stand victorious.